In the 1970’s, the Vozvrashchayemyi Apparat Space Capsule served on two missions under the secretive Soviet space programme during the Cold War. 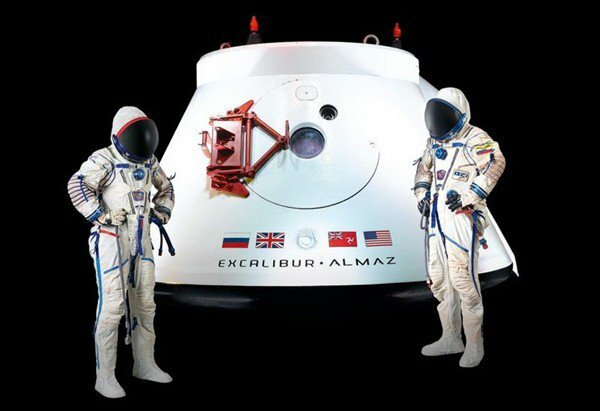 On May 7, the VA Space Capsule, along with two Sokol KV2 spacesuits, will be auctioned off to the highest bidder in Brussels. The out-of-this-world bundle is expected to fetch somewhere between US$1 – US$2 million (B31 million – B62 million). The spacesuits alone have an estimated value of US$80,000 – US$100,000 (B2.5 million – B3.2 million). “For me as an auctioneer it is a the greatest honour to auction thispiece of recent history,” said Professor Henrik R. Hanstein, the owner of th Kunstahaus Lempertz, the auction house that plans to sell the items. Before the VA Space Capsule, the only other known space item to have been auctioned off was another Soviet space capsule – the Vistok 3KA-2 which was sold for US$2.9 million (B90 million) in 2011.